Where’s Wallis? 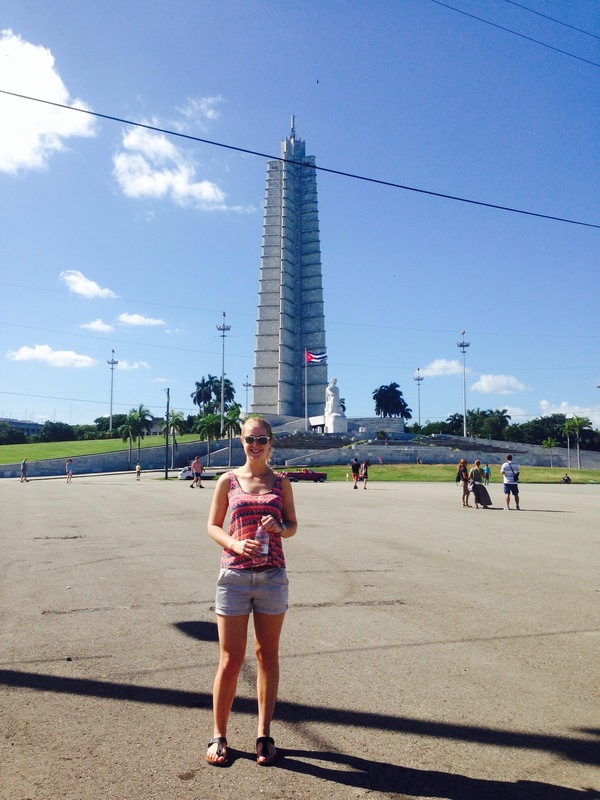 Havana, Cuba – Where's Wallis? My flight touched down in Havana on Tuesday evening about 7pm, although it took over an hour to get through immigration. Anyhow, I digress. Michael, who I’d met in Madrid, was being collected from the airport by his Casa owner, so had offered me a lift into town, but as I was at the back of the slowest immigration queue and there was no sign of him by baggage I assumed he’d left. I collected my bag which had been thrown onto the floor near the conveyer belt and stepped into the night. Given my error in bringing dollars, my first job was to locate the FX office outside the airport and hope I could use my card to buy Cuban Pesos, which thankfully I could. I then hopped in a taxi into town. I always find it strange arriving somewhere at night as you have very little sense of surroundings and it’s difficult to get your bearings. My taxi driver had what looked like a donkey teddy hanging from his rear-view mirror (obscuring a little too much of his view!) but making conversation I complimented this. He told me that it was a crocodile, turned on the lights to show me it was in fact green, and then fished his keys out his pocket to show me two further crocodile key rings. Evidently they were his ‘thing’. He then told me about a crocodile farm I can visit…I have yet to add it to the itinerary. When I looked out the back window at one point I was startled by what can only be described as a ‘black baby-doll’ inches from my head. 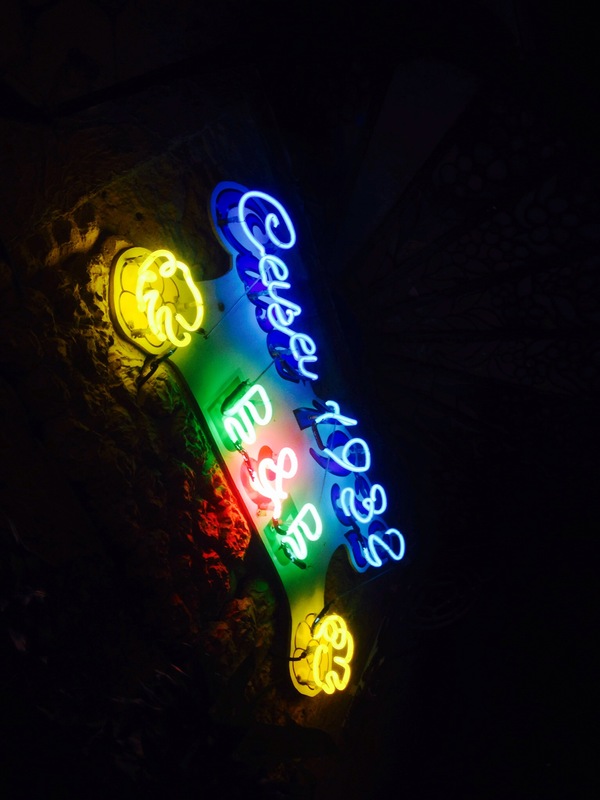 Once I arrived at ‘Casa 1932′ where I had booked to stay I was greeted by the owner, Luis Miguel, who presented me with a beer and a seat in his courtyard. He collects antiques and his walls were covered in all sorts of memorabilia. I’d brought him some chocolates from home as a thank you for having me, and he was so appreciative when I gave them to him…he rushed off, returned with full cheeks and a smile and said they were one of the best things he’d had in years. I just wish I’d brought more with me as I’m going to be in home-stays all around Cuba, but I’m not sure the 70L rucksack could have handled it. In the end I actually ended up staying at Luis’ cousin Doris’ Casa 1940 just around the corner. 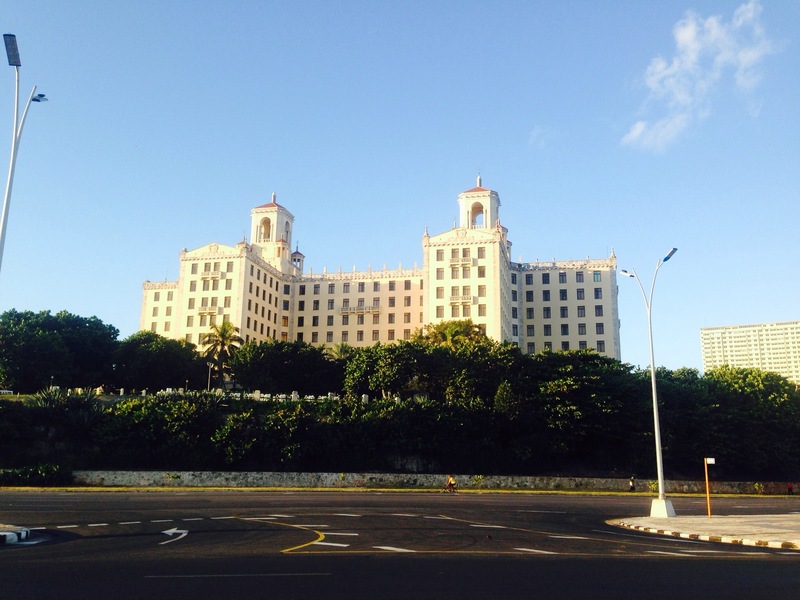 I think his was overbooked, so I ended up with an apartment to myself, with a sea view out over the Malecon (the 8km long seafront boulevard in Havana). 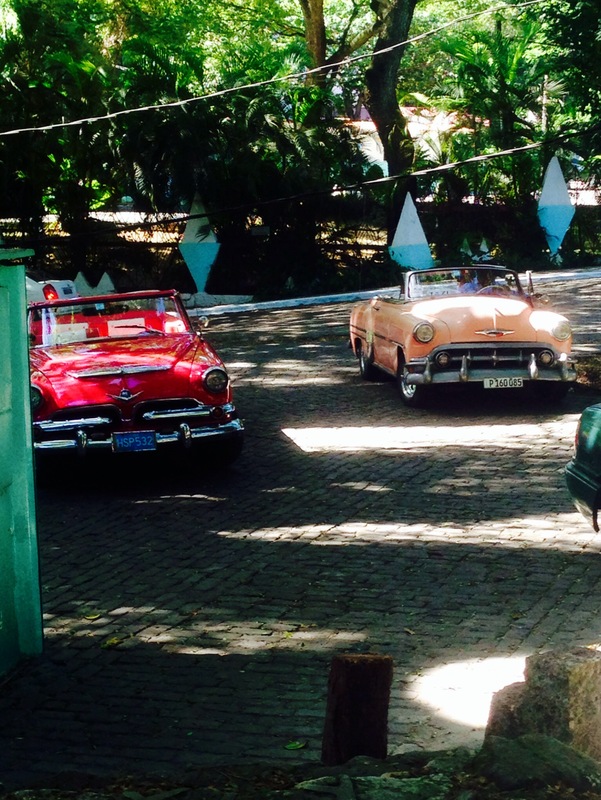 This was obviously a bonus, but I worried would mean I wouldn’t meet other people, so I signed up to an Art Deco tour of Havana for 10am the next morning in the hope of seeing some more of the City and meeting some people. My flight times were virtually perfect jet-lag wise…they meant I had a super long day on Tuesday (6am – 3am UK time) but that I was in bed and shattered at 10pm Cuban time. 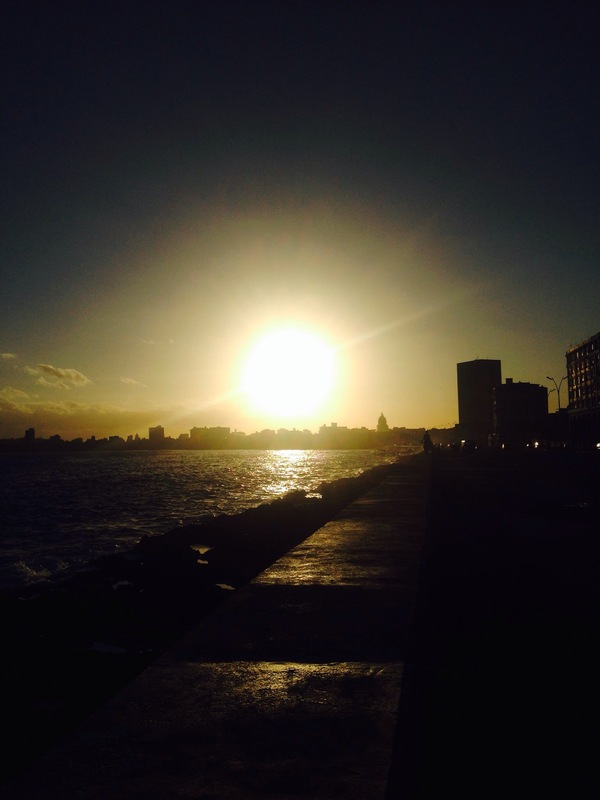 I woke up early on Wednesday, about 7am, so I decided to go for a run along the Malecon. Exercise is good for jet lag, plus I really want to get my fitness levels back up on this trip, PLUS my new snake print running shorts were crying out for an outing, so off I went. I made it about 2.5km along before I decided I was a) too hot, and b) too unfit to go much further!! The Art Deco tour: the guide was local from Havana and there were 3 others on the tour. I’m not an Art Deco fanatic, but it was a great way to see the city and some of the parts I wouldn’t have seen otherwise. Like the ‘jungle’ within in city limits which was Spielberg’s first choice to film Jurassic Park. The National…have a mohito on the terrace! My favourite fact learnt on the tour was about the international statue code: if a person is on a horse in a statue then they fought at war, if their horse is rearing then they died at war, if they are facing the sea then they are foreign and if facing in-land they are native. Don’t call me up on this as I haven’t verified it (yet), and also have no clue what one does if the statue is inland. Along the ‘Avenue of Presidents’ there’s one statue which is just feet. Apparently it was an unpopular individual, so during one hurricane the guise of the storm was used to knock it down, just leaving the feet. 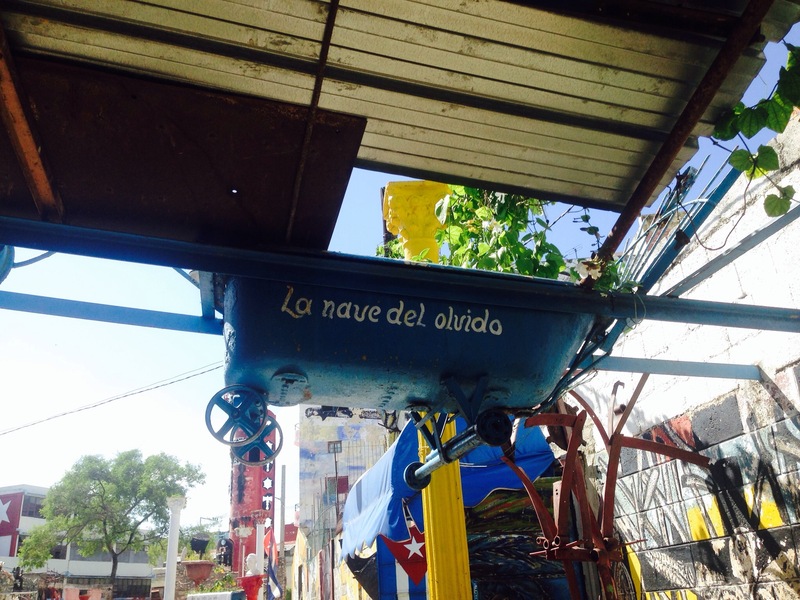 Right at the end of the tour the guide took us to an Afro-Cuban neighbourhood to see an outdoor art project, it was a bit of a sales ploy for some CDs but there was some interesting art…benches made of bathtubs! We popped our heads into a bar and a second later Michael from the flight emerged, glad that spotting me had saved him from another CD transaction. Such a coincidence as we were in a totally random part of the city. We agreed to go to Old Havana that evening for some drinks and food, but making plans without internet/phones turns out to be quite a challenge!! I marked on his map roughly where my Casa was and we agreed he’d come by at 7. Forcing me to loiter on my 3rd floor balcony and hollering his name down to the street (hoping I’d remembered it right!) We went for drinks on ‘Obispo’ which is the main street in Old Havana which had a great atmosphere with every bar serving up strong rum cocktails and live music. 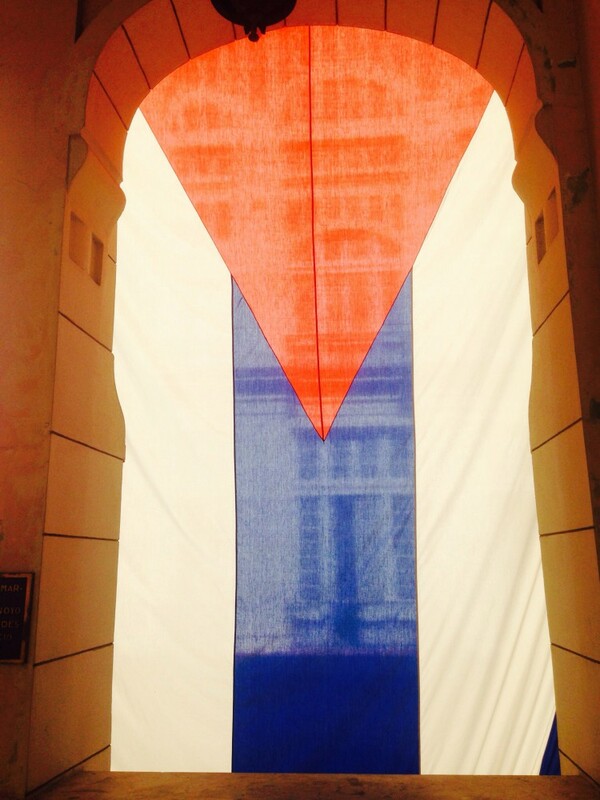 Thursday I went to the Revolution Museum, which is housed in ex-president Batista’s old palace. I am not a big history buff but it was pretty incredible to walk through the rooms where Castro and Guevara would hold meetings in the years following the revolution and to see the bullet holes still in the staircase from the earlier failed storming of the palace. The exhibits themselves were somewhat haphazard; I hoped there might be more information about the actual events of the revolution, but instead there was lots of detail of society post-revolution, and collections of seemingly random objects i.e. someone’s boot, some of which had Spanish narrative and some English. Dinner at the Casa was delicious but felt slightly like a blind date situation at first… I’d assumed that the dinners at the Casas would be with the host family as they ate, but turns out it’s just guests. As I arrived Luis mysteriously said “It will be you and one other…you know this man”. Given my Cuban network of 1 I did wonder for a second if James had missed me too much after just 2 days and dramatically hopped on a flight. Alas no. ***I’m posting this from Vinales, in only the second place I’ve found with internet in Cuba, so friends and family sorry I’ve been a bit off radar. It’s actually been a great way of just getting stuck in and not thinking about home (too) much! Vinales is my favourite place so far, I’m planning to stay here until Friday when I will head back to Havana before flying to Panama on Saturday, and then when Dermot arrives on Sunday I will have an actual FRIEND 😀 hooray!! Posts on Trinidad and Vinales to follow.